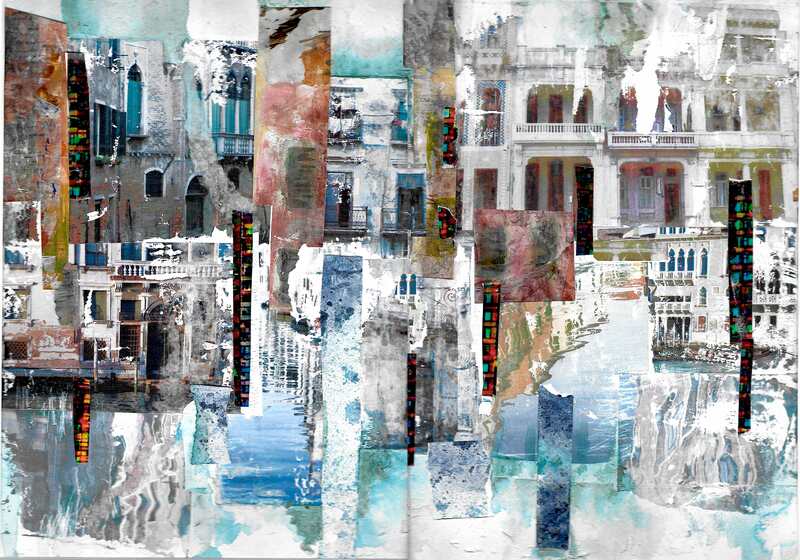 Collage in mixed media of Venice and Havana combined. 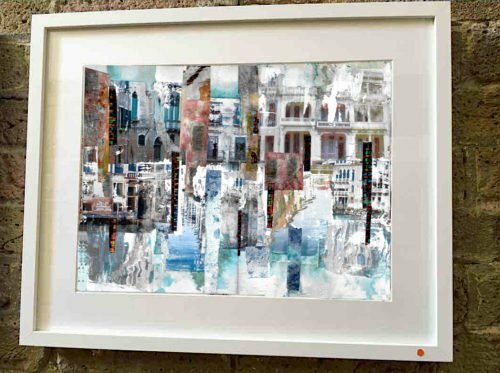 Sold recently to a collector in London, this collage is composed of fragments of some of my old paintings and tiny slivers of some of my digital prints and photographs of the cities, some of which I used as image transfers onto textured gesso to recreate the crumbling facades of many of the buildings in both Venice and Havana. It’s great to be able to re-use parts of some of the painting experiments I’ve done and stored for a rainy day!